What data must be indicated on products? indication of the main ingredient of the product (if set by the regulation). Most of the requirements for labelling of unpacked food are based on EU legislation. Valid producer's address and indication of the product's main ingredient if set by the regulation are specific requirements of the Czech legal order. We have to add that no regulation that would state the obligation of indicating the product's main ingredient has not been valid yet. It, however, can be changed in the future and it is good to be ready for that. Law divides three levels of placing the information on unpacked product. It also says what to indicate at given level. Name of product, name and address of the producer that produced the food, data on the main ingredient, data on quality class and country of origin should be here. The last three information (the main ingredient, quality class, country of origin) must be indicated only if set by the EU regulation. Here the seller has to inform the buyer about the expiry date (can be indicated on the label of goods packed on customers request) and information about presence of allergen. Consumers are entitled to detailed ingredients of the product they are buying and also to quantity of highlighted ingredient. They must be provided with such information by shop assistants or the information must be visibly accessible in the point of sale. Do you know how to label unpacked food? All of these measures are governed by sole aim: to make consumers' access to information easier, thus enhance their safety. Application of new principles, however, not always proceed smooth. 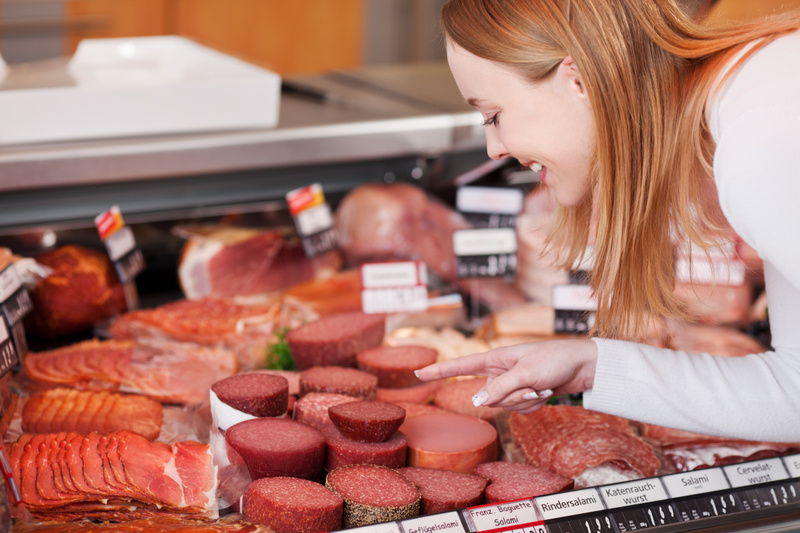 In QSL, we come into contact with producers and sellers of food every day and we know what problems they have to face in connection with new rules for food labelling. We believe that this article can help you better understand the principles of labelling of unpacked food. If you still are not certain, please, contact us. We will be pleased to help you.